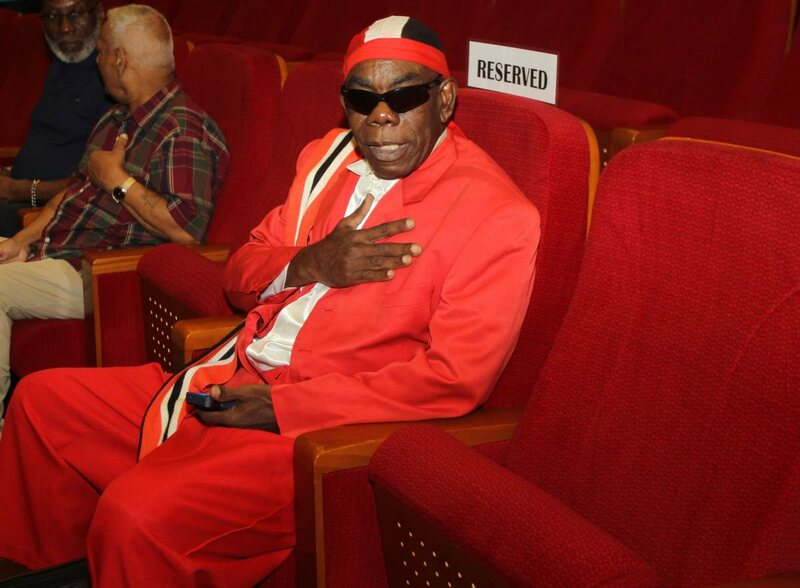 Calypsonian Winston Scarborough, The Original De Fosto Himself, at his benefit concert at the Southern Academy for the Performing Arts in San Fernando on Sunday. WINSTON Scarborough, The Original De Fosto Himself cried as he thanked his fellow artiste and calypso lovers who came out to show him love and support at a benefit concert in San Fernando on Sunday evening. 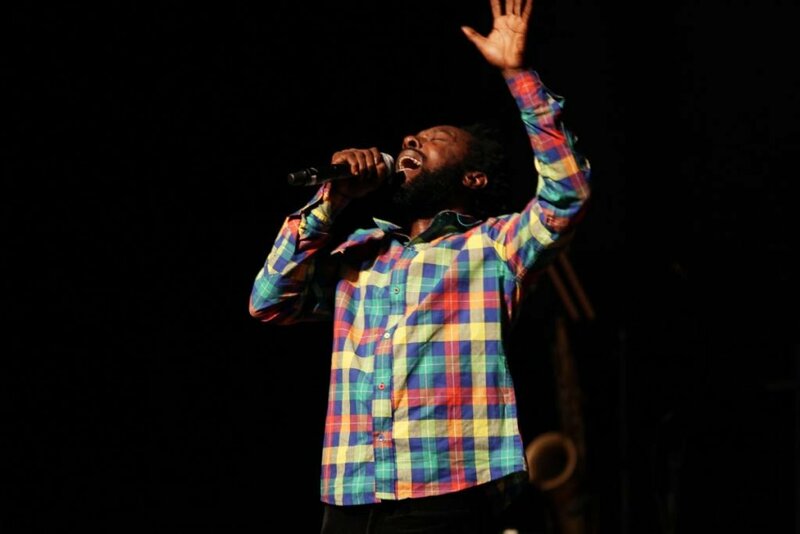 Though the numbers comprising the audience were smaller than he anticipated, the many calypsonians who responded to the call to aid their ailing colleague with his rising medical bills, performed as they would have to a full house. For almost five hours, artiste such as Lady Adana, Queen Victoria, Singing Sandra, Baron, Bally, All Rounder, Lady Gypsy, Ras Kommanda, Mr Shak, Kurt Alleyne, Impulse, Brian London, Funny among others, graced the stage at the Southern Academy for the Performing Arts (SAPA) to pay homage to one of the masters of the art with different genres of music. Kurt Alleyne puts his all into his performance on Sunday. All the artiste, backed by Oral Rodriguez and the Razor-Sharp band, which had no time to rehearse, including MC’s comedian Damien Melville and Eunice Peters gave freely of their time and talent to aid in De Fosto’s recovery so he can be back on the stage in 2019. “I am so thankful to the wonderful people who came out to show their appreciation to me and to culture. They are all patriots. You can’t fly in God’s face. We have to thank him for whatever little he gives us,” De Fosto said in an interview with the Newsday. Every single artiste, including Bally spoke of De Fosto’s generosity. Bally recalled that even when they were in competition, De Fosto was always willing to help his competitors get it right. The bigheartedness of this entertainer was ably demonstrated when at the end of the show he advocated for a repeat so those who performed for free on Sunday could get a pay day. “Even though it (the concert) is helping me, things are so difficult in the country today, people are trying to survive the best way they can and these calypsonians who have given their service, dedication and commitment to me and to culture they should get some financial gains because they too have to live. Reply to "De Fosto reaches out to struggling fellow artiste"